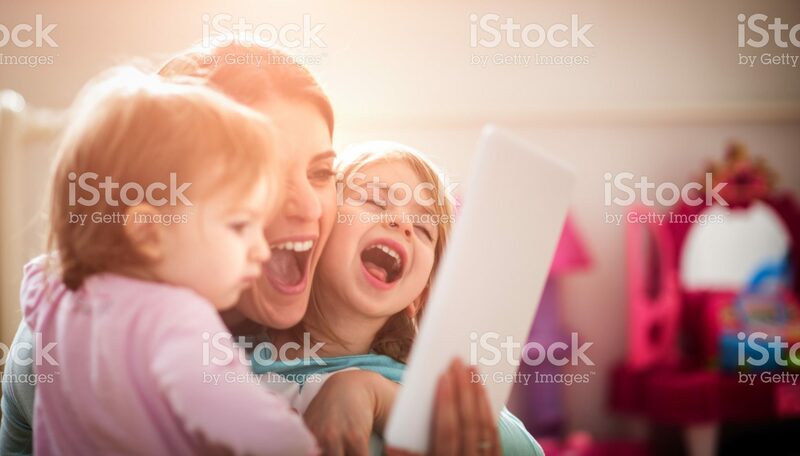 Mother is holding digital tablet and entertaining her two little daughters at home. They are laughing and having fun. Bright light is coming through the window in the background.